Danny Spewak is the RTC correspondent for Sun Belt Conference. You can find him Twitter @dspewak. It wasn’t Ken McDonald‘s fault this his team lost in overtime to Louisiana earlier this month. The Ragin’ Cajuns, after all, scored the winning bucket with six players on the floor. After more than three years of McDonald’s frustrating tenure, though, the Sixth Man loss must have been the final straw for athletic director Ross Bjork. McDonald lost his job after the game, departing with a 67-49 record. Now, interim head coach Ray Harper must mold this young team into a competitor this winter, which should be a tall task for a team mired in a 1-7 free-fall since December 7. Tony Mitchell‘s debut in Sun Belt play did not exactly make any headlines, as he fought foul trouble and scored just six points in each of his first two games. The third SBC contest with South Alabama was a charm, however. Mitchell went for 34 points and 16 rebounds, scoring in every way imaginable. He attacked the glass, fired from three-point range and finished 11-14 from the field. 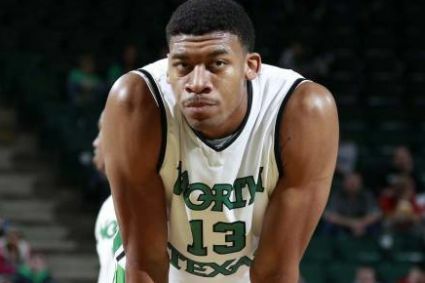 And last night, Mitchell’s hot streak continued with a 21-point effort in front of several NBA scouts in Denton. We knew this would be the case, but it’s starting to look like Mitchell is a sure one-and-done. RTC is proud to be in Dayton for the debut of the First Four. No mere kickoff event, this, and certainly no play-in set of games, so don’t even call it that. This is the official first round of the NCAA Tournament. Each of the two days will feature a game between two winners of smaller-conference tournaments followed by a game pitting two of the last four at-larges granted admission. On Tuesday, Solomon Bozeman leads his Arkansas-Little Rock Trojans and one of the best three point shooting teams in the nation (their 39.8% from range was 12th in the country) against Big South Tournament champions UNC-Asheville, who will try to keep the pace quick and coax unforced errors out of UALR (UNCA forced 17 turnovers per game against its opponents, 7th nationally). After that one, UAB and their trio of double-figure scorers — namely, Jamarr Sanders (17.7 PPG), Cameron Moore (14.3 PPG, 9.3 RPG) and Aaron Johnson (12.0 PPG, 7.7 APG) — take on Clemson, a team whose defense held opponents to 0.898 points per possession during the season, 10th in the nation. The first game tips off at 6:30 PM ET on TruTV. We hope you’ll have us alongside for both of them, and join in the conversation. Let’s Dance! Love it or hate it, it’s here to stay so we may as well get used to it. The road from 68 pretenders to 16 contenders begins on Tuesday night at the First Four in Dayton, and we’ll be breaking down every game for you throughout. Here’s tonight’s two games, and keep in mind that we’ll have a correspondent with RTC Live at every single game in this year’s Big Dance. #16 UNC-Asheville vs. #16 Arkansas-Little Rock – Southeast Region First Round (at Dayton, OH) – 6:30 pm ET on truTV. 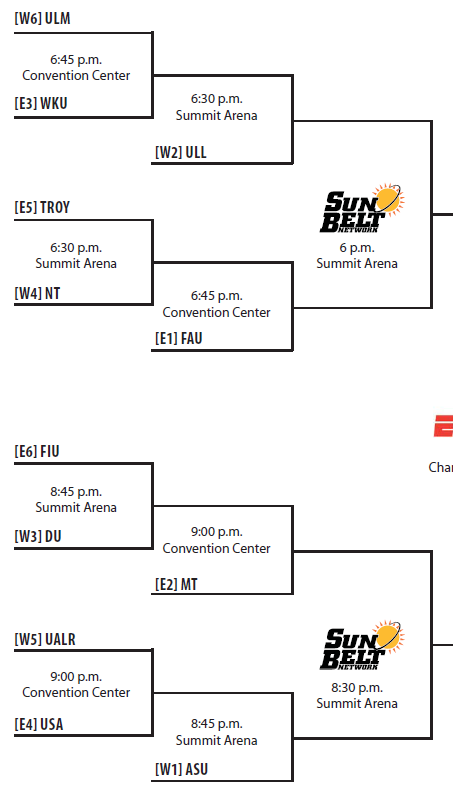 The NCAA Tournament tips off with the first round in Dayton tonight. Arkansas-Little Rock is making its third NCAA appearance, its first in 21 years since losing to UNLV in the first round of the 1990 Tournament, while UNC-Asheville is here for the second time in its history. These teams play a vastly different style of basketball and whoever can impose their will on the game will likely win. 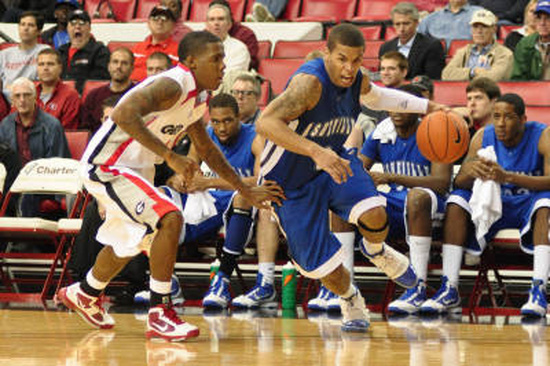 The Bulldogs of Asheville are much better defensively, ranked #89 in efficiency and first in the Big South Conference. They’ve won six straight games and no opponent has scored more than 63 points against them during this streak. 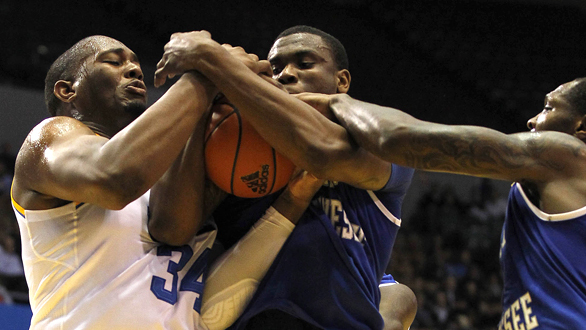 Asheville likes to play at a quick pace and ranks tenth in defensive turnover percentage. They have to speed up this game and create a positive turnover margin in order to take Little Rock out of their comfort zone, a halfcourt setting. Turnovers have been a problem for Asheville (15 per game) with their two best players, guards Matt Dickey and J.P. Primm, accounting for six of those combined. With center D.J. Cunningham injured, Asheville has to depend on its backcourt almost exclusively. The Trojans shoot 39.7% from three (#12 nationally) but this guard-oriented team gets very little production inside. South Florida transfer Solomon Bozeman is by far their best player, averaging 16.5 PPG on 46.4% shooting from distance. If the shots aren’t falling, Little Rock will have a tough time winning this game. Guards control tempo and that will determine the outcome tonight. The RTC Certified Pick: UNC-Asheville. #12 Clemson vs. #12 UAB – East Region First Round (at Dayton, OH) – 9 pm ET on truTV. The most stunning and controversial inclusion into this year’s field was UAB, whose conference tournament quarterfinal loss to East Carolina was believed to have sealed their NCAA fate. Instead, the Blazers’ stellar RPI boosted their credibility in the eyes of the committee enough to warrant a spot in the newly instituted at-large play-in games in Dayton. They’ll take on Clemson, a team whose late-season wins over Virginia Tech and Boston College aided their cause. The Tigers new head coach, Brad Brownell, always sported formidable defensive units during his time at Wright State; his debut season at Clemson has proved no different as the Tigers rank ninth in the nation in defensive efficiency. 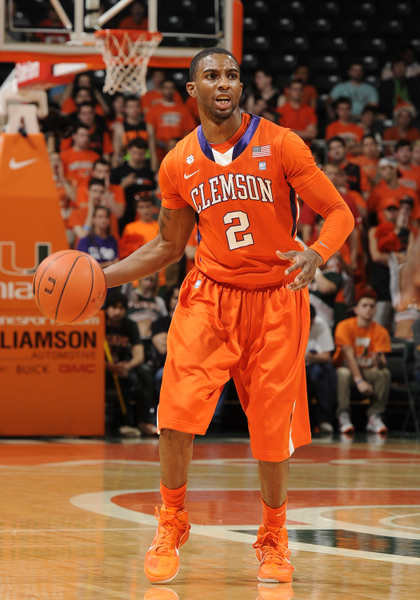 Clemson has held opponents to a meager 44% from two-point territory and 32% from three-point range. The Tigers also boast a capable senior inside-outside duo in Demontez Stitt and Jerai Grant, the latter ranking near the top of the nation in effective FG%, offensive rebounding and shot blocking. But the real matchup to watch involves Stitt against UAB point guard Aaron Johnson, a true floor general in every sense of the word. Johnson ranks fourth in the country in assist rate and the onus will be on Stitt to make life miserable in the halfcourt for Johnson. Both teams are below average when it comes to offensive efficiency when compared to other NCAA Tournament participants. Which point guard performs better between Stitt and Johnson could very well determine the outcome. We’re more trusting of Clemson’s talented supporting cast – Andre Young, Tanner Smith, Devin Booker and the aforementioned Grant to name a few – to make life easier for their point guard. The RTC Certified Pick: Clemson.